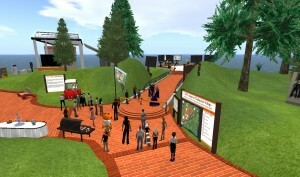 The second annual “Virtual Worlds: Libraries, Education, and Museums (VW LEM)” Conference will be held in Second Life on Friday and Saturday, April 24 & 25, 2009. 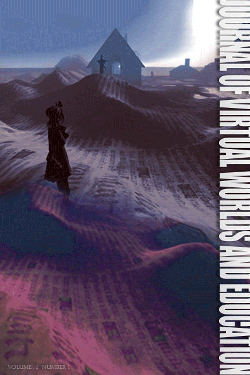 The conference will provide a gathering place for librarians, information professionals, educators, museologists, and others to learn about and discuss the educational, informational, and cultural opportunities of virtual worlds. I went shopping for a holodeck today and the clarity of this product promotional sign made my job SO easy. The Holodeck Superstore on Kenora (http://slurl.com/secondlife/Kenora/61/183/23) has taken the basic reference question and put it to use to assist their customers. Great demos, too! 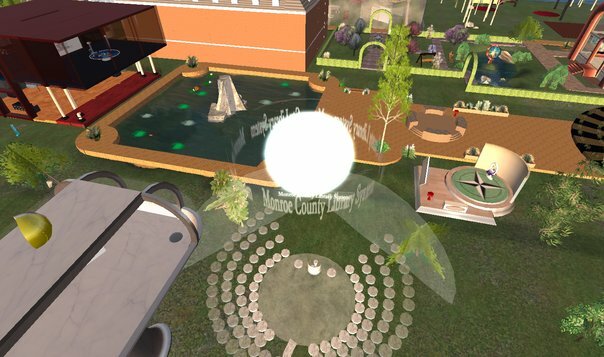 The Big Read comes to Cybrary City II on Wednesday, May 14 at 5:00 pm (SLT). Join us as Rebekah Cavan leads a lively discussion of Fahrenheit 451, censorship and the value of books at The Monroe County Library System Amphitheater in Second Life. The discussion starts at 5:00 pm SLT, but get there early to save your favorite books from the bonfire before it’s too late!